He understands how important the continuous education of each employee is to Farma’s creators, but also how much trust and value they put in their team. He seems to truly appreciate Farma’s adaptability and vision for the future. 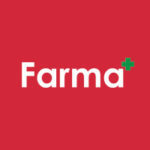 He’s even beautifully summarized Farma’s core mission: to transform, through data and education, the long-standing negative connotations that have become associated with cannabis throughout its era of prohibition. His article does a great job of neatly articulating the key ways in which Farma has been designed to dispel these stigmas. Check out his fine work here.